The Harold Rosegay award is given annually to the best clinical paper covering topics in neurosurgical anatomy, history and clinical practice. 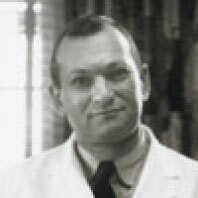 The award acknowledges the significant contributions of Col. Harold Rosegay to the UCSF Department of Neurosurgery since 1966 when he joined the faculty as a clinical associate on his return from service in Vietnam and his love of anatomy, history and clinical practice as it applies to the specialty. The honorarium for the Rosegay Award is $500.00. In addition, the Award winners are provided one night's complimentary lodging for the annual meeting and invited to the SFNS Annual Dinner.